Any entries not received by Tues, April 9 (4 weeks before Clinic) will owe more. Send separate checks for stabling. Stable Information: Our 12x12 stalls are 7 feet high with 4 feet solid kick proof material & 3 feet bars above. He can see the other horses & have good air circulation. Each horse can put his head out to look around on the door side. 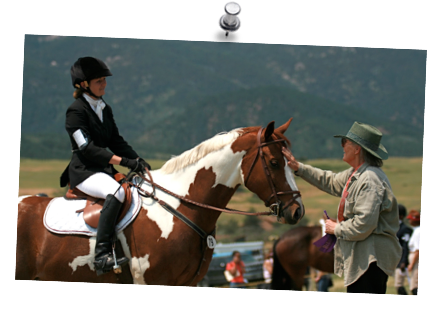 Rider letter & schedule may be listed here, or on clinic or horse trial page, a week or 10 days before each event.